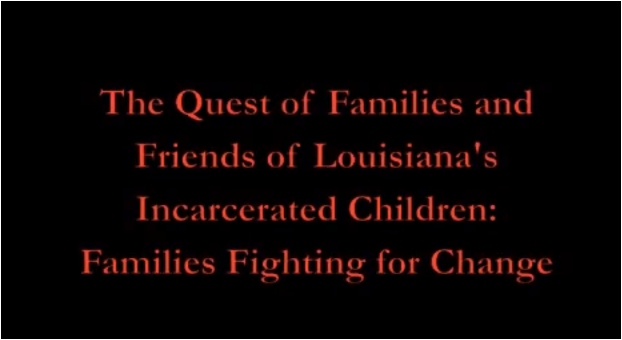 Families and Friends of Louisiana’s Incarcerated Children wishes you and your family the best this holiday season. For many this is a time of joy and celebration, but for others it is not. We ask you to remember all of those who are unable to spend this holiday season with their loved ones. Hundreds of youth in Louisiana will remain incarcerated during this festive season, while others are fighting to stay in school. Please keep them in your minds and hearts. FFLIC continues to advocate for not only these children, but their families too. The burdens of school suspensions, expulsions and incarceration are not only carried by the child, but by us all. 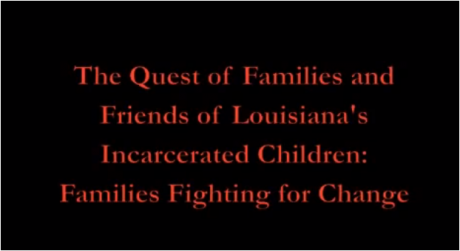 Please take a moment to view a short video from FFLIC that reflects on our hopes, our dreams.